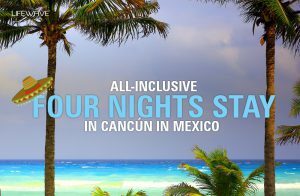 Best of luck everyone, we hope to see you in Cancun! Please note the above is as per a report dated 10am 27th October 2017. T&C: All new enrollments / upgrades must occur from September 18th to December 17th2017. Participating Sponsors and new enrolees / upgrades must remain active for 90 days to qualify. This is not transferable and must be used by the person who qualified. No limit on number of new enrollments / upgrades. Promotion expires December 17th, 2017. You must be available to travel week commencing the 19th March 2018. The maximum you will earn when you sponsor or upgrade a single member is 3 vacation points. No cash prize equivalent.